Judging from the leaves, I think this is not actually an orchid. Maybe a palm of some sort? I really don't know, but the flowers do not appear to have a column, which is the distinguishing characteristic of orchids. Do any other readers recognize this plant? Post a comment! 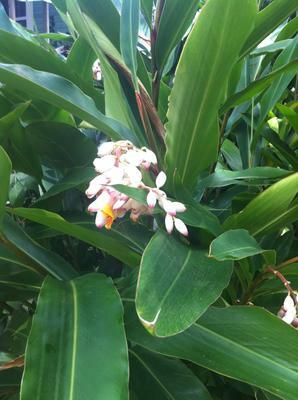 This is a Alpinia zerumbet of the family: Zingiberaceae. We have these here in Costa Rica, to!